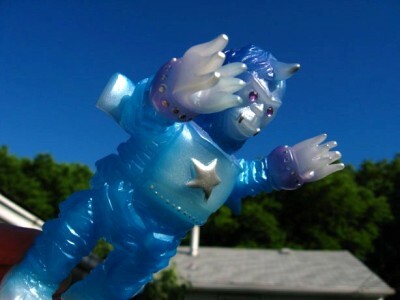 toybot studios: Grumble Toy Exclusive Amapro Mecha Gorilla! 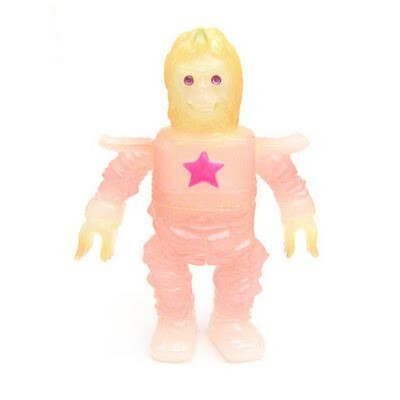 Exclusive Grumble Toy x Amapro Mecha Gorilla...!! 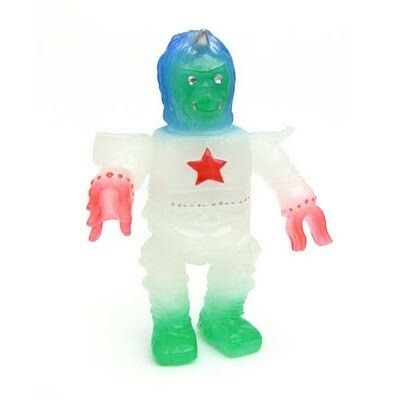 This Monday at 12 noon we will put up 2 exclusive versions of Amapro's Mecha-Gorilla. Those of you who were lucky enough to attend the ICFSB show in San Francisco may have seen a custom of this figure I painted for that show. Both versions are painted by Ainsley and myself. The Blue, Green, and Red version is a color combo put together by our good friend Ryuuji Kii of Amapro. The peach version was dreamed up by us. Both versions are on milky white vinyl. Here's the custom that Chris painted up for toybot studios!